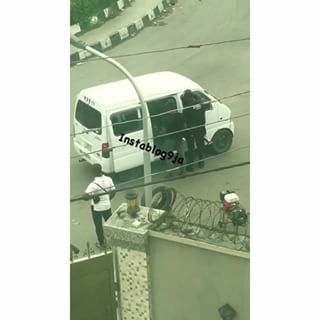 Soon after Acting President, Yemi Osinbajo gave an order to overhaul the Special Anti-Robbery Squad ‘SARS’, a video going viral shows SARS officers extorting money from passengers. Nigerians are definitely happy after getting to know about the overhauling order to overhaul the Special Anti-Robbery Squad but this has really changed many things. However, this is not quite the case as a new video has emerged online showing two SARS operatives continuing with their ‘extortion and harassment’. In this new video, the officers are seen speaking with people on a bus after apparently stopping the vehicle. It is believed that the operatives are, as usual, holding passengers to ransom before requesting for cash. Tori.ng cannot verify exactly when the video was taken but local reports claim that the incident happened earlier today in Surulere, Lagos.